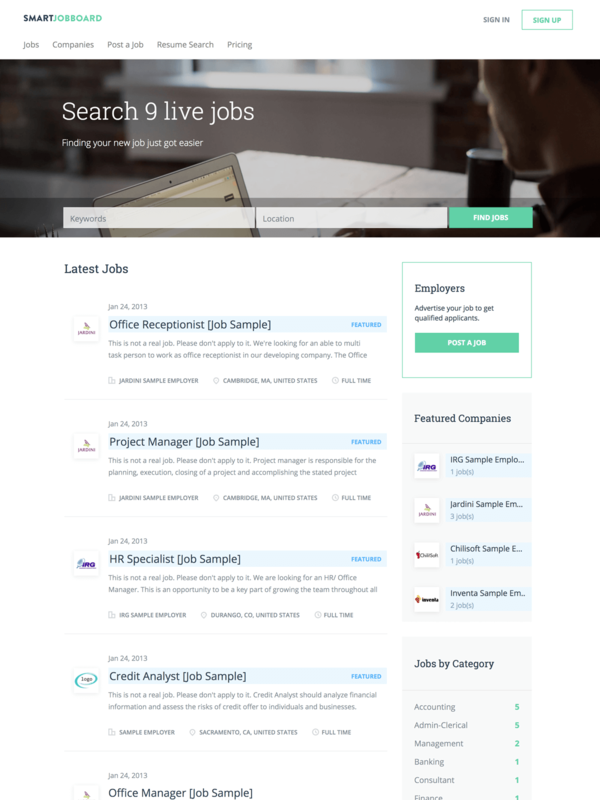 Classic is the most popular Smartjobboard theme with stunning looks and strong performance. Responsive for Desktop, Tablet and Mobile it covers the needs of all types of users with awesome job board design. Flow is a fully SEO optimized modern theme that equally well suites any job board niche. It includes a mobile–first responsive design, unique typography, an edge–to- edge homepage hero-image, and other outstanding visuals. 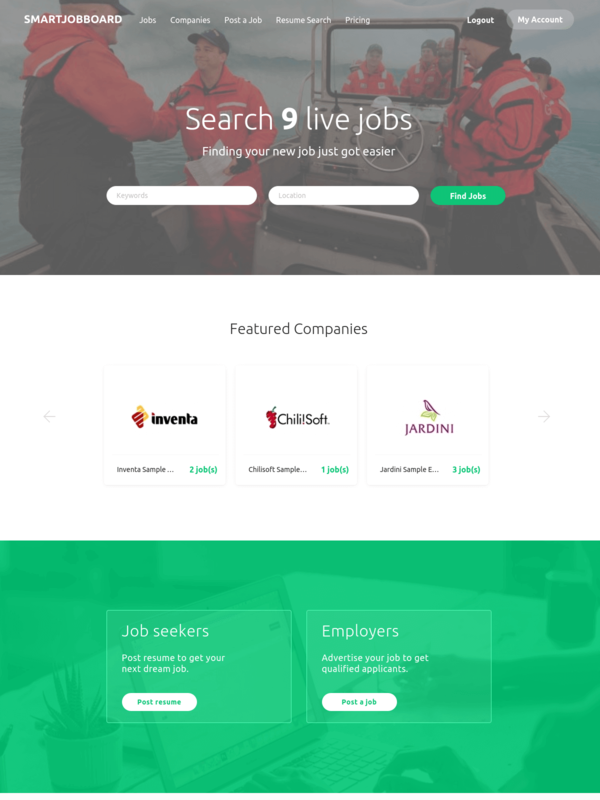 It is a perfect job board theme for your next project. Simplicity with its clean, minimalistic design is an ideal option for job site owners who value minimalistic look and feel. 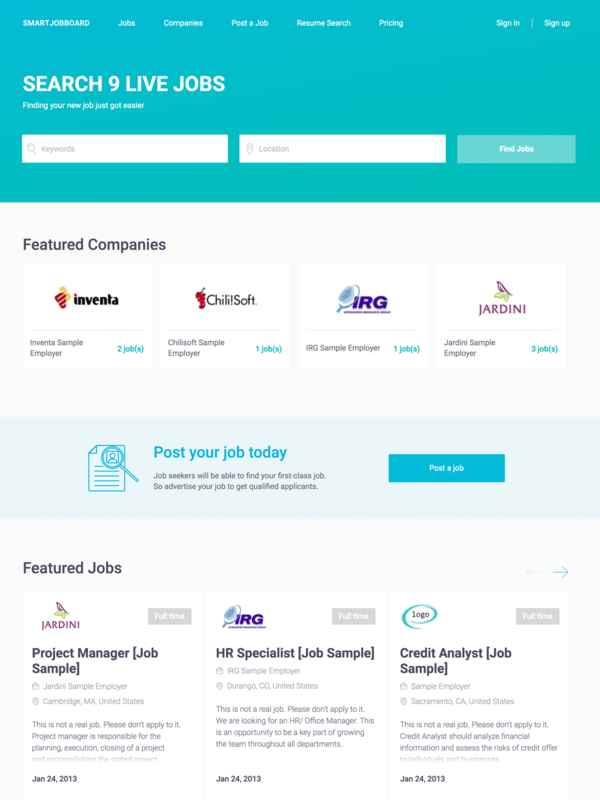 The job board template has an intuitive visual interface. It is mobile-friendly and retina optimized, so your job site will perfectly work on any device and any screen size. 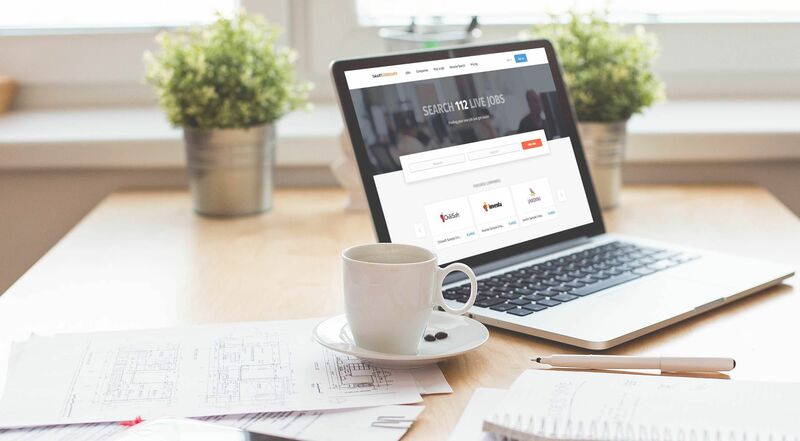 Its’ sleek modern design will impress anyone who likes their site straightforward and uncomplicated! This theme has nothing more, nothing less! Unlike other themes, Breeze has two columns structure. 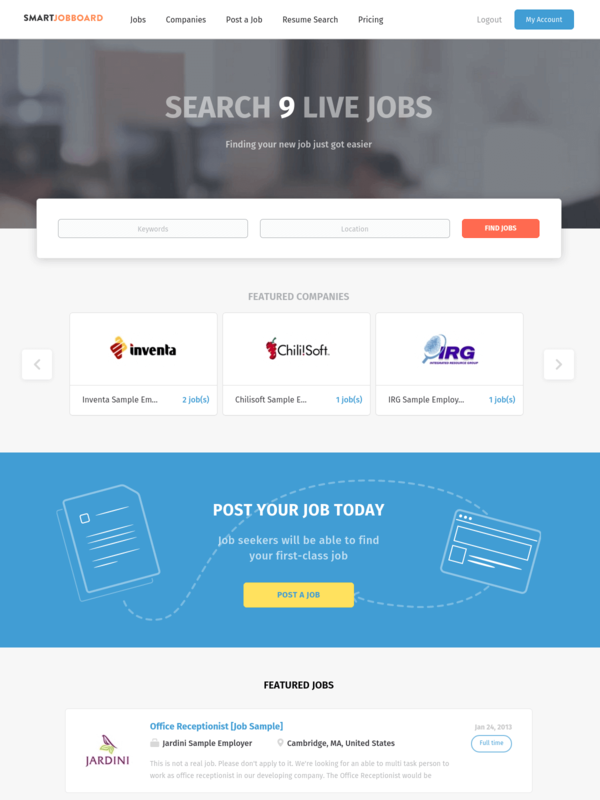 Its clean, simple, yet modern look will make your job board shine! 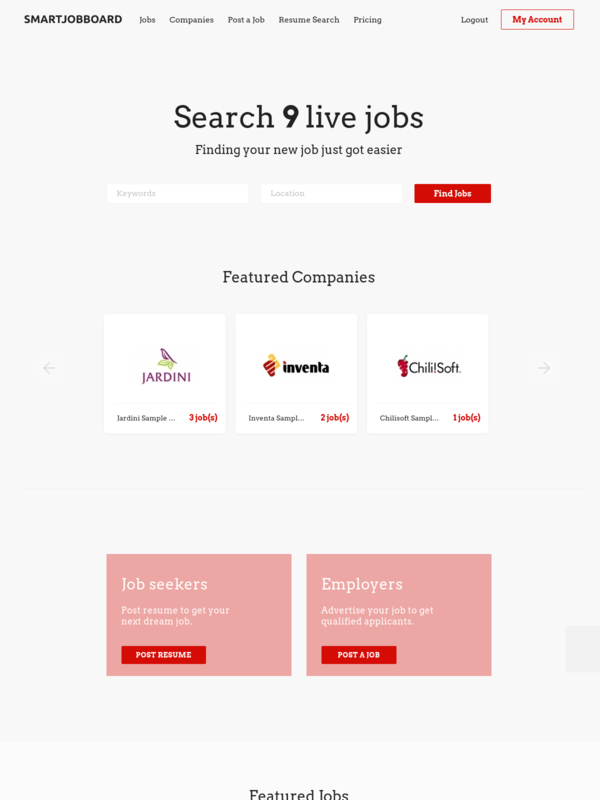 With Shine, we’re taking a new approach to display jobs on the site. Are you ready to start your very own enormously profitable job board website? See for yourself how rewarding Smartjobboard can be before you risk even one dime.